semthex from Hackint0sh.org, in collaboration with AppleTVHacks.net has done it again! A complete replacement to the Mac OS X kernel has been built which allows the full version of Mac OS X to be run on an Apple TV. Semthex wrote a processor emulation for the kernel, to sidestep the hardware restrictions that previously disallowed Mac OS X from running on the Apple TV. AppleTVHacks.net was only too happy to help out, and when it turned out we needed more testers we launched a competition to get some.  Within hours we had hundreds of eager Apple TV hackers submit entries. 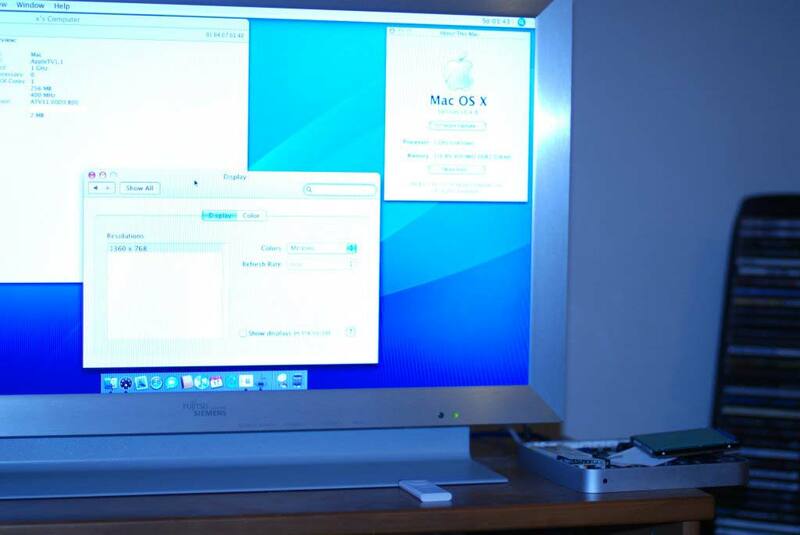 The Apple TV running Mac OS X can use the mouse and keyboard normally, and you can run regular OS X apps easily. You can use either Front Row or Back Row (or Joost, or VLC, or…) to watch content, and can use it for most things you would use a Mac for. 5) Boot from this drive, and set it up as you would like it. Make sure you do updates so it is at least 10.4.8. 6) Reboot to your normal OS X install. Ok, you now have your fresh OS X install which will form the base of the customised OS X you will need for the Apple TV. 7) Remove mach_kernel from root of the drive containg the ATV install. 8 ) Replace it with the customised mach_kernel that you’ll find on Hackint0sh.org. 9) Replace /System/Libary/Coreservices/boot.efiwith the same file from your backup of the Apple TV OS drive (OSBoot partition). 11) Delete all the Nvidia kexts (all beginning with NVD, there should be 5) from the target drive (in /System/Library/Extensions). 13) Turn the Apple TV on and cross your fingers. 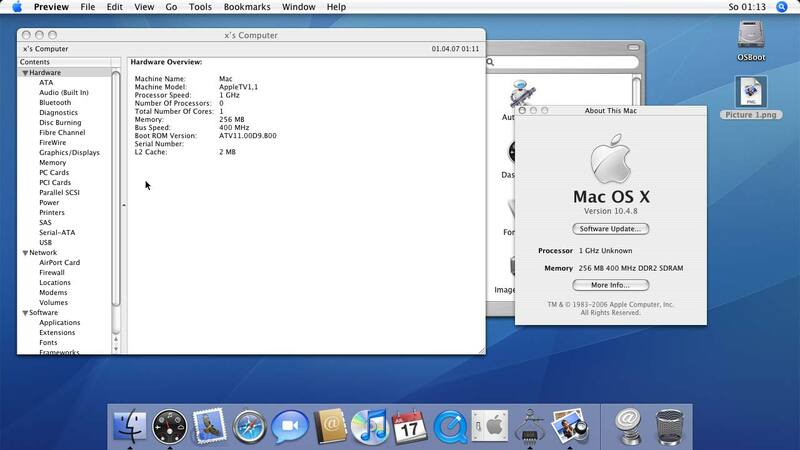 You should boot up into Mac OS X. Woo! 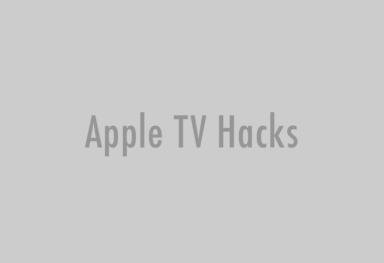 This hack seriously opens up the doors with what the Apple TV could be used for; and we imagine we are going to see lots of cool hacks, additions and addons. We will do our best to keep track of them. A big thanks again to semthex over at Hackint0sh.org; who did the majority of the work, and built the custom kernel. The brave testers who helped make this happen: gimli, mk500, Turbo, Jonathan Bare, l0rdr0ck.